Raquel Maria Laboy Garcia "Kelly"
Troy- Raquel Maria Laboy Garcia, 49, affectionately known as “Kelly” passed away peacefully on, Sunday, December 2, 2018. She was the daughter of Bernadette (Bernie) Garcia and Juan Laboy Garcia. Kelly is survived by her beloved daughter, Malaysia Natalia Coleman. She was the loving grandmother to Myari and Malia Youngs. Kelly is also survived by her longtime partner, George Davis. Kelly was a life long resident of the city of Troy and was educated in the Troy school district. She was a dedicated employee of the Van Rensselaer Manor nursing home for 23 years. Most recently, Kelly worked for the ARC of Rensselaer County where she continued her passion for helping others. Kelly’s greatest joy was spending time with her family and friends especially her daughter and granddaughters. Her kindness, generosity and compassion will forever live on. In addition to her parents and daughter she is survived by her siblings, Christopher Cruz, Renee Garcia, Rhonda Laboy-Rivera (Luis), Regina Garcia-Venson (David), Michael Laboy (Sheila) and Brandy Laboy-Marcus (Brooks). She is also survived her aunt, Jeanne Dellio (the late Michael) and her “cous-sis” Yannett Laboy, and her uncles: Epifanio Laboy Garcia, Tomas Laboy Sr., Domingo Laboy, Miguel Laboy and Vicente Laboy. Kelly was the proud aunt to Natasha, Andria, Jasmine, D’Asia, Anthony, Antonio, Mikey, Kristina, Juan, Brooks Jr., Lamesha, Jaida Monique, Rasai, Damera and Rahavie and a host of great nieces, nephews and cousins. Calling hours will be held on Friday, December 7, 2018 from 3:00pm-6:00pm at New Comer Cremations & Funerals, 181 Troy Schenectady Road, Watervliet, New York 12189. A funeral service will begin at 6:00pm at the funeral home. 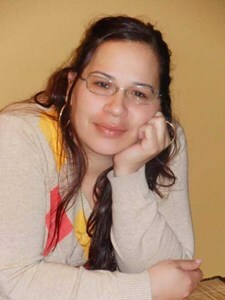 Add your memories to the guest book of Raquel Laboy Garcia "Kelly". Sending healing prayers and comforting hugs. We are so sorry for your loss. We are here if you need anything. Leaving this world, have No Power over love,Especially the love of a Mother , For that reason , We can Never Completely lose our Mothers, She will alway remain with you.My prayers go out to the whole family ,May God give you some peace. Malayasia my prayers go out to you and your family with such heavy heart i am so sorry for your loss. My Deepest Condolences and Prayers To The Family. We go back to the "Taylor and Ahearn" days; when you lived on Jay Street (I think that's the name), go back to when you were with DuShaun and I was with Rabu. We talked about relationships from then to now. For some reason I'm trying my hardest to remember when I last seen you, and I think it was either in September or October this year around the corner from my house in the morning. You were working with your clients and I was walking my dogs. We only said "hi" to one another. You were busy with your client, and I was hurrying so I could get ready for work. You know the saying "if I knew then what I know now", I would of made it my business to be late for work that day to talk to you......ABOUT ANYTHING. You did a JOB WELL DONE ON EARTH, REST. My heart goes out to her family ?? Kelly was always cool and laid back. And forever will be my favorite sister inlaw who showed me about life when she called me over to see her and talked to me about her first fight that she had with cancer. I was in my early teens and had my first niece by her. Although I was crazy I always had the bond and thankfulness that she showed me and told me of the reality that we need to be there for our love ones and not take them for granted. Had I been in Albany like she had me do as a kid I would have been front and center to give her my love and respect. Im still in disbelief. Tax Coleman(or as Kelly would always call me no matter what Tyler). Loved Kelly honestly and sincerly from Day one. She birth my first niece and since then she has been my Kell. I will always love you for the gift you gave me but more importantly because you were always you, unapologetically. I am Really going to miss the way you said my name. Sending my condolences to you at this sad time. Kelly was a wonderful woman. She always had a beautiful smile. Please know that you are in our thoughts and prayers. Sleep In Peace my fellow GRANDMOTHER. And what a WONDERFUL GRANDMOTHER and MOTHER you were. I'll do my BEST to continue to help Malaysia and OUR BABIES. You are gonna be a VERY hard act for me to follow tho but I will ALWAYS be there for them. I love u Kelly, My long time childhood friend..We didn’t talk much in the past years but we always reached out to one another when needed..To know you is to love u.Like u said,We will always be family..until we meet again, Sleep In Peace my Beautiful friend ..Heaven gained another angel..PS can you ask Jahmeer to cont to watch over us..
To Malaysia and the rest of Kelly’s Family,you have my deepest and heartfelt sympathy. I had the pledger of meeting and working with Kelly at VRM. I must say she was a hardworking woman,and she dedicated her services to the fullest to VRM. And what I did know of Kelly is that she loved her family dearly,and all she would talk about was her divine love and passion for her daughter/grandchildren. Kelly will be forever missed,and may she RIP!